CENTRAL Queensland primary producers and supporters of agriculture will rally at the Gracemere saleyards on Tuesday. The protesters will demand the Palaszczuk Government dump flawed laws that will make it harder to grow food. The Queensland Farmers' Federation alongside members CANEGROWERS, Cotton Australia, Growcom and Queensland Dairyfarmers' Organisation; as well as AgForce stood united in calling for the unbalanced vegetation management laws to be rejected. According to the Queensland Government website about the laws, some have been in place since March 8, 2018. One of the impacts listed by the government is prohibiting clearing for high-value agriculture and irrigated high-value agriculture to improve habitat and protect the environment. Under the new laws, landholders can still conduct necessary clearing for their farm operations to prepare for or recover from natural disasters; manage encroachment; establish property infrastructure and controls weeds. Farmers can also continue to harvest fodder for stock in drought, although the accepted development code for fodder harvesting has been replaced and you will need to re-notify your intention to clear. The new laws currently before the Queensland Parliament will reinstate vegetation management controls repealed in 2013. The changes will increase protection for high-value regrowth and remnant vegetation and boost protection for important habitats, including waterways leading to the Great Barrier Reef. 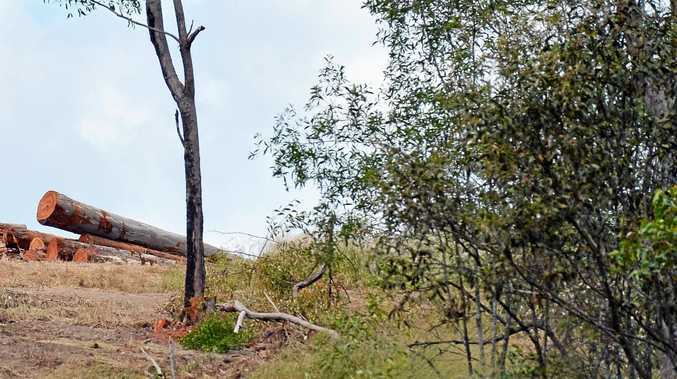 AgForce Central Queensland Regional President John Baker said the Palaszczuk Government's proposed vegetation management laws would hurt the people and economy of Central Queensland. "The recent Agricultural Census showed that the Fitzroy region was the number one beef producing region in the country with more than 2.6 million head of cattle - that's more than in the entire Northern Territory," he said. "Agriculture - and beef production - in particular - is integral to the Central Queensland economy and underpins thousands of jobs so policies that affect our primary producers affect all of us. "Farmers just want fair and workable laws to grow more food, create jobs and look after their environment without being strangled in red tape. "It's pretty simple - if farmers can't feed their own families, they can't feed yours." Mr Baker said AgForce would host a sausage sizzle breakfast from 7am near the main billboard at the saleyards and would rally at the function area ahead of the Parliamentary committee's arrival for their hearings at 9am. "We encourage anyone concerned about the economic future of Central Queensland and the ability of farmers to keep producing food to come along and show your support," he said. The Parliamentary committee tasked with examining the proposed vegetation management laws will hold their public hearing in Rockhampton Tuesday from 9am- 11.30am at the Central Queensland Livestock Exchange (formerly Gracemere saleyards).